D.I.Y. 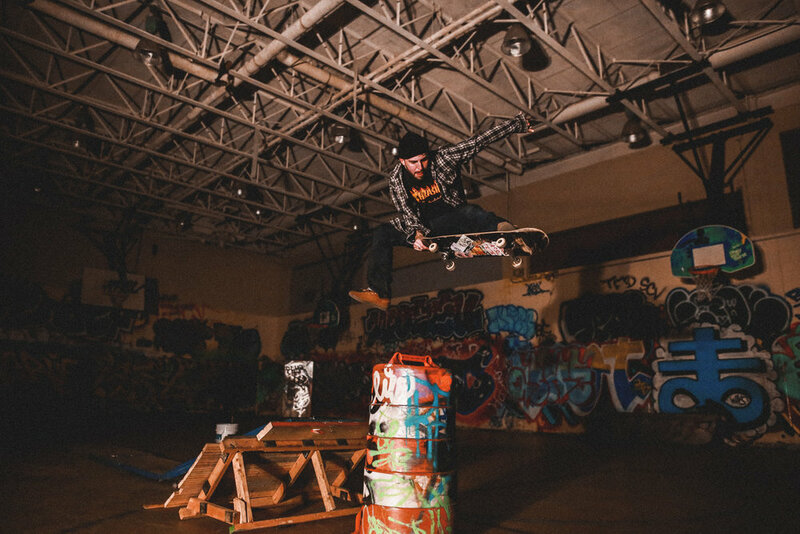 Skate Park: Providence Rhode Island — SOSICO. 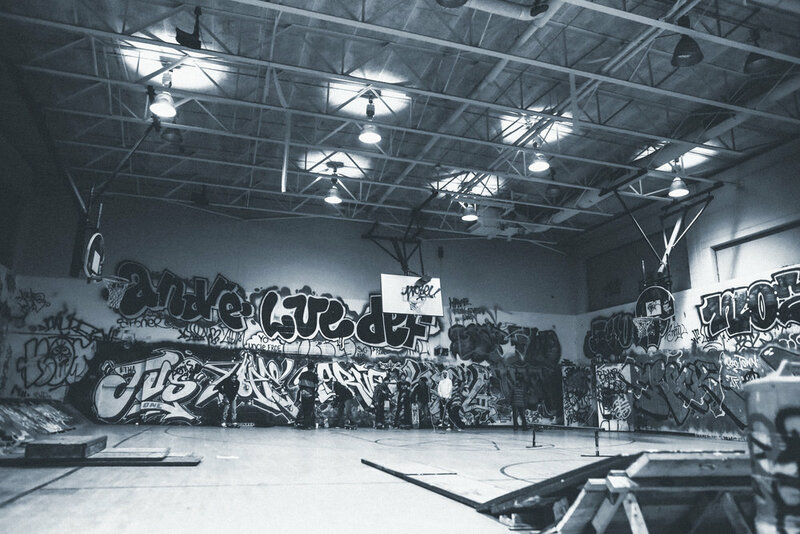 I recently had the chance to make it out to this indoor DIY skate park in Providence, RI that is located in the ruins of an old gymnasium. It made it onto my radar a few months ago - sometime around November 2018 when I had seen one of our riders, Andrew Costa, posting some clips in it. 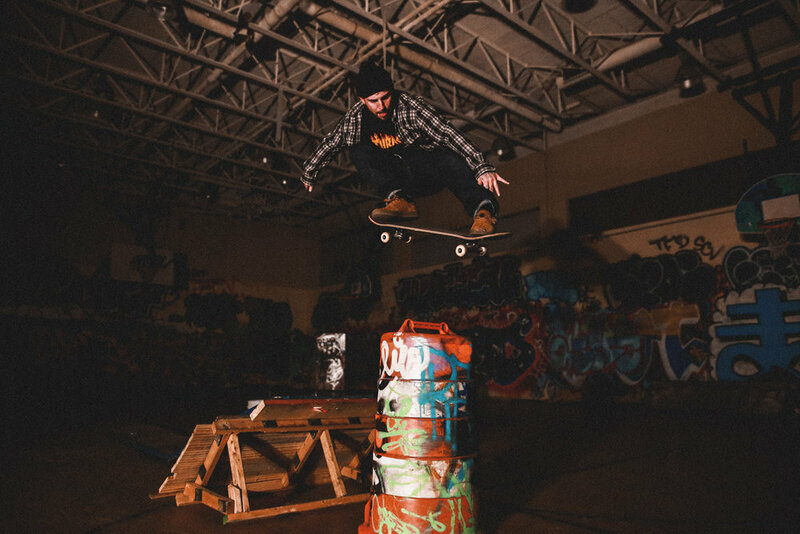 Since then, it has seen a lot of local skaters from New England lighting it up with some bangers during these colder Winter months when the ground is wet, frozen and unforgiving. When I walked in from the outside and pushed the door open I immediately noticed how every inch of wall stunk like spray paint from the local artists, and the floors were marked up from reverts and bails. Miraculously there is still power running to the shell of a building that can be switched on via the circuit breaker in a side room. This place is a utopia for skateboarding and I was hyped to finally check it out. Below: Photos I shot of team rider, Josh Silva and some homies.